The first stop on the caravan was the March for Life in Dallas. 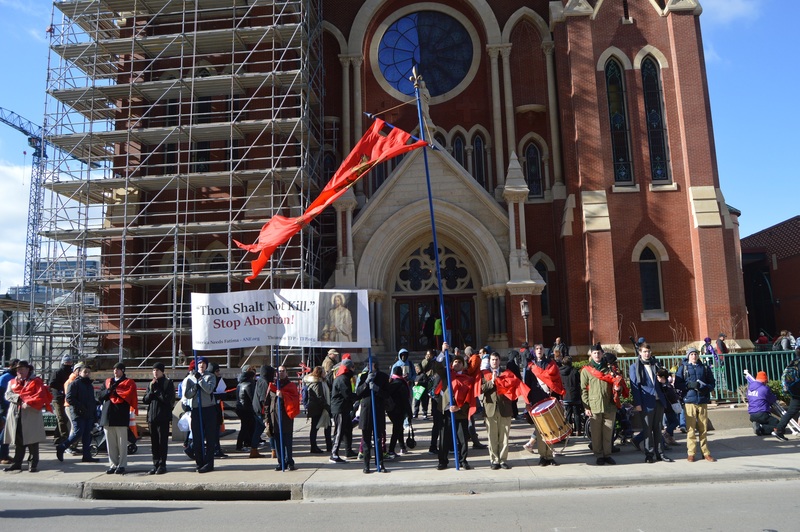 Thousands of souls braved the frigid cold and amazingly strong wind gusts. Pro-lifers marched from the Guadalupe Cathedral to the Earl Cabell Federal Building and Courthouse where Roe v. Wade originated and was appealed all the way to the U.S. Supreme Court. 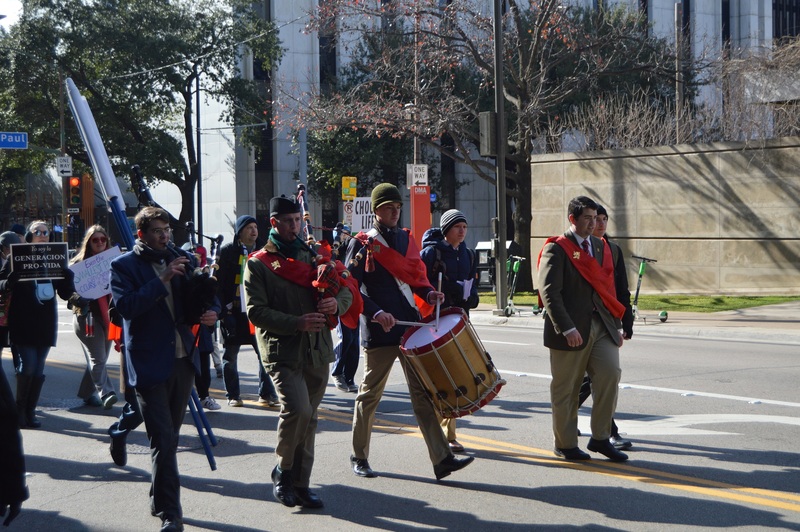 Members of the TFP Holy Choirs of Angels band played the bagpipes and drums. With winds gusts reaching 40 mph, the TFP standard snapped in the wind, and it was necessary at times for two members to hold it steady. “Wow! It looks like Iwo Jima,” commented one man as he walked by. The historical parallel was very interesting if nothing else. While the Marines battled against a foreign enemy on foreign soil, we are waging, on our soil, a spiritual battle against an evil more destructive than even World War Two. Abortion has killed more Americans than all of our wars put together. Not to mention the unprecedented destruction being wrought by the culture of death in general. After the March, TFP caravanners thawed out in their van as they enjoyed a packed lunch donated by a kind lady from the area. But they didn’t get too comfortable. 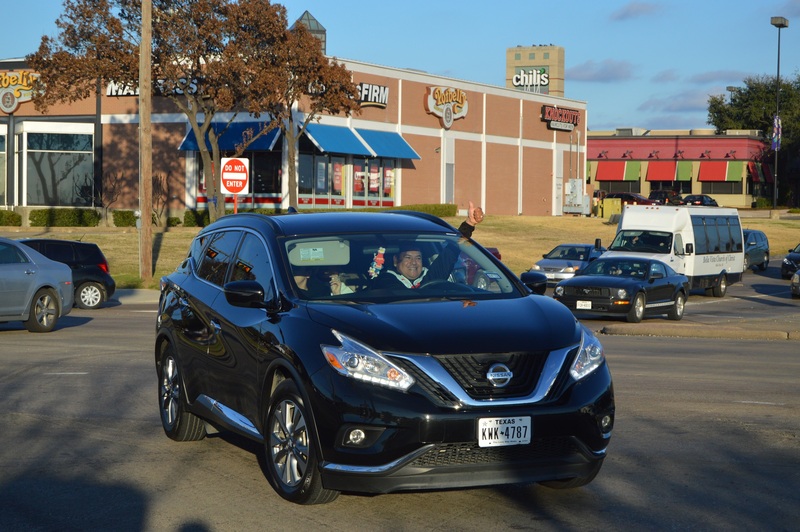 Next destination: an intersection campaign at the Irving Mall! The hope and enthusiasm given to the public driving by on their Saturday evening were worth every minute. 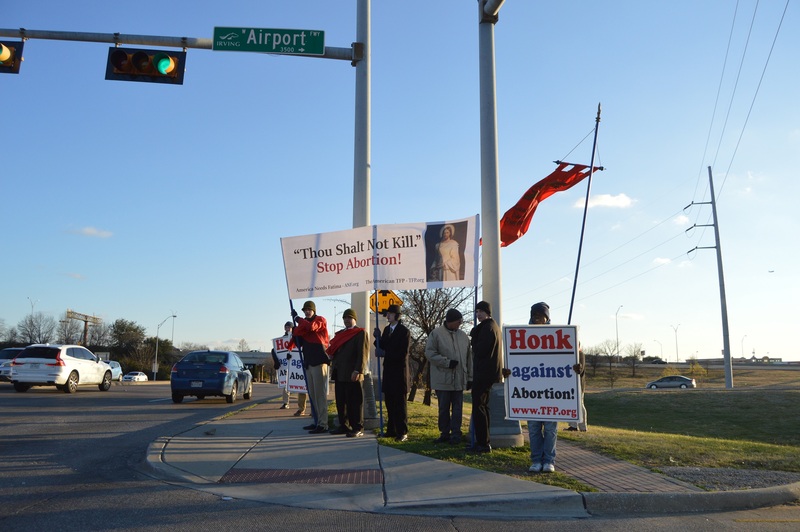 Honks, smiles, waves, and thumbs up were overwhelming.